If planning to fly, you'll fly into Charlottetown. From there, downtown Charlottetown is close by, and our house and the venue are about 45 minutes away. If planning to drive, don't forget your passport! And if you'd like our family's direction list, let me know and I'll send it your way. As always, please let us know if you have any questions at all! For hotel bookings and questions about the area, we recommend working with travel agent Janet Ingham. 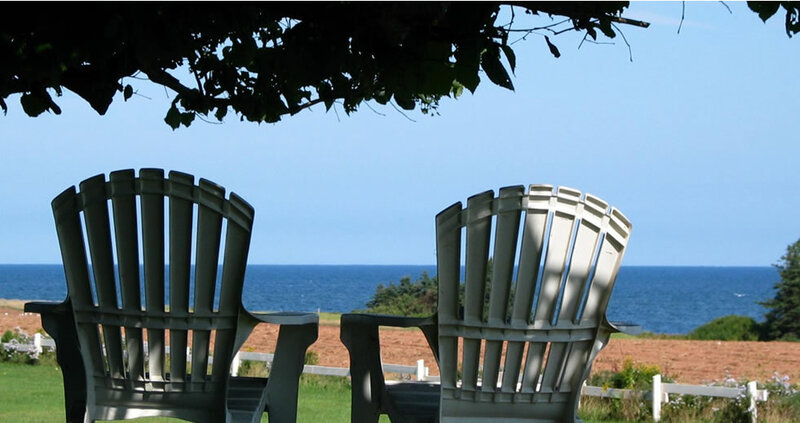 What to do in PEI. 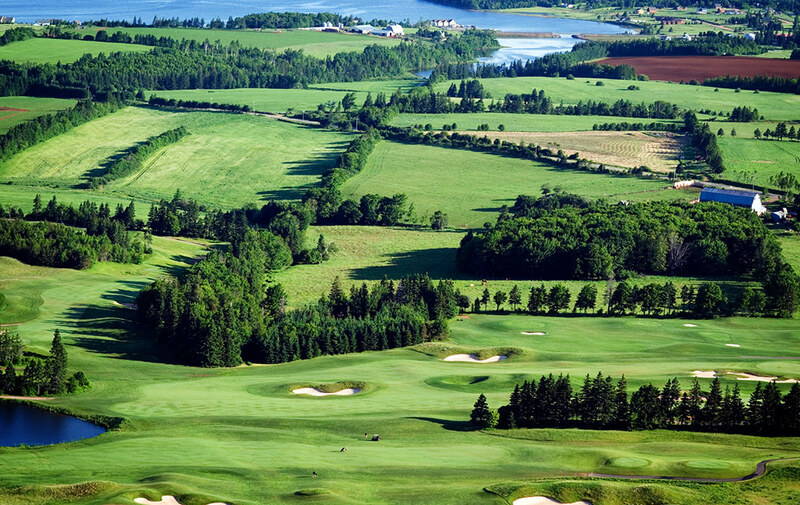 Beaches, seafood, golf, and relaxation are what PEI is all about. But don't just take it from us! 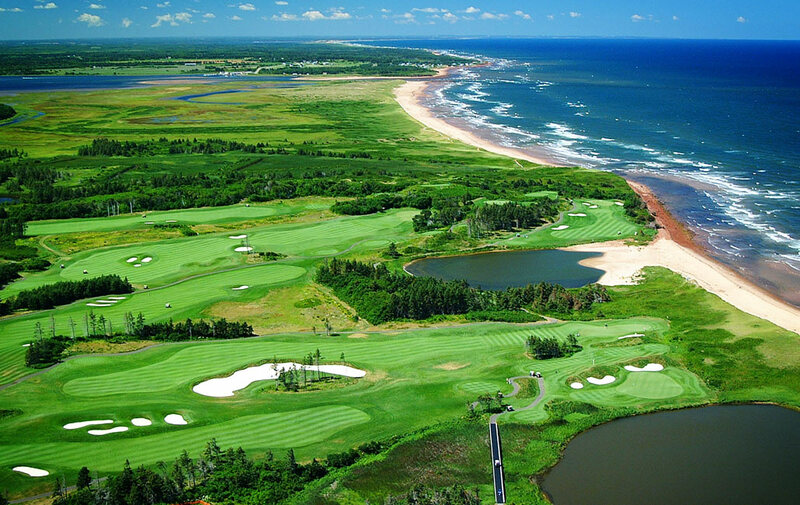 Here's the PEI Tourism Website has a ton of fabulous suggestions from restaurants, to the best beaches and golf courses, to family activities. You can also request to have a hard copy mailed to you for free. Below are some of our own suggestions, with more detail about some of the towns and areas you'll be near. The north coast in the center section of the island. Great beaches, golf, and seafood. A great area to stay if you're thinking about renting a cottage. Our house is in this area in French River. The main towns to know are Kensington and Cavendish. This is where our house is! There are a number of cottages nearby for those looking to stay closer to us or the venue, or wanting to get more out into the countryside. Also a great option if you want to come play croquet with us. For cottages check out airbnb.com and vrbo.com. A small town, but it's where we go for the essentials: groceries, bakeries, and a liquor store! A good area to know for anyone staying in a cottage. You'll also find a bank, gas stations, ice cream, a haunted house (!! ), and Tim Hortons. Another option for picking up some essentials. Plus some nice beaches, COWS Ice Cream, and world-famous Sandspit amusement park. A great little B&B on the same road as our house. It has both rooms and cottages available, and is very a short walk to a couple of great beaches. They don't start taking reservations until January. If you're interested in booking here, I'm happy to give them a call in January on your behalf, but please have a backup plan in mind just in case they are full. Another great option is staying in a cottage or house (especially if you're staying for some extra days). Check out both airbnb.com and vrbo.com to find great places in the area. We're more than happy to help and make recommendations, so please shoot us a note if you have any questions! A little B&B in Kensington. Looks like a cute little place, and they have bikes for guests! Great little place with a great deck and view! One of Web's favorite spots after a bike ride. 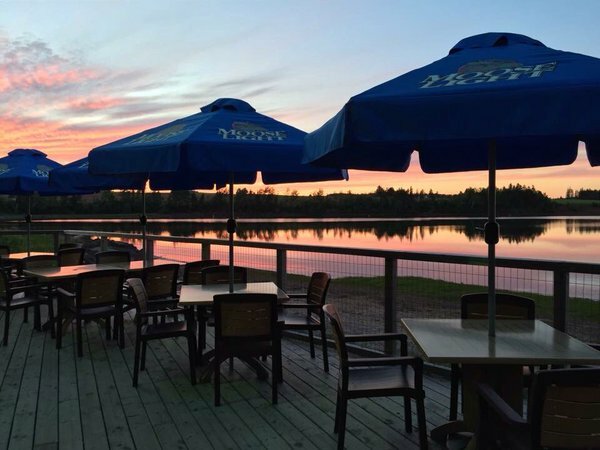 Good food and drink, and right next to a place to rent bikes to ride on the Confederation Trail. Awesome restaurant we ate at the day we got engaged! Right by the water, and a very nice area for a walk. Great food, great deck, and they will give you a blanket if you're chilly. A staple of our family's diet in PEI. Highly recommend Gooey Mooey and Wowie Cowie. There are a couple of locations on the island, including 2 in Charlottetown, and the closest to our house in Cavendish. Sutherlands Restaurant is within Stanley Bridge Resort (another wedding venue) which is right next door to our venue, Clinton Hills. Carr's is a restaurant and lounge with fresh seafood and live music in the summer. Our regular course these days. The course itself is fantastic, and comes with views to match. And the kicker is complimentary mussels on the deck for golfers. Another great course to play (this will be a theme). This one I actually have not played before, but my Dad has. 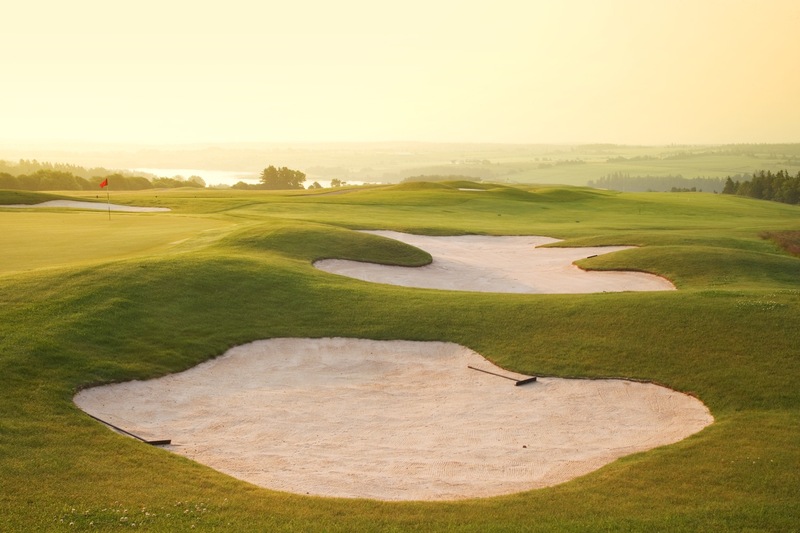 It usually ranks as one of the top courses in Canada. It's a bit more of a hike, but definitely could be well worth it. 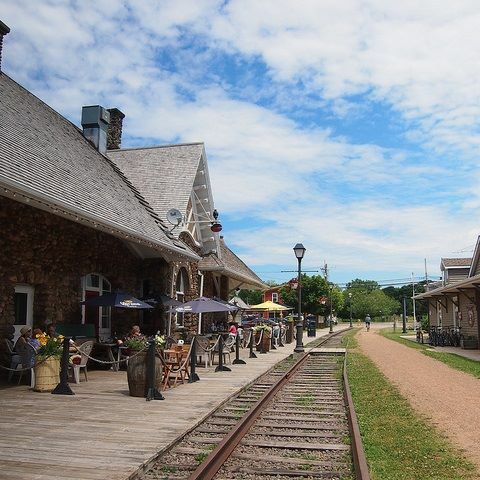 The Confederation Trail is a bike trail that goes tip to tail across PEI. You can rent bikes in Kensington or in Summerside to ride the trail. A nice ride would be to rent bikes in Kensington, ride the trail to Summerside and back (~45min each way), and then grab a beer at Island Stone Pub. In Summerside you could also grab a coffee at Samuel's if you need a caffeine boost for the ride back. Join the local hoodlums and jump off Stanley Bridge! Avonlea Village offers replications of houses and shops from the time of Anne of Green Gables. Avonlea was the fictitious name that Author, L.M.Montgomery gave to Cavendish. The Village is free to enter and offers an outdoor spot to meander through 1872. Brackley is a drive-in movie theater that features two back-to-back movies per night. The theater offers a snack bar and is cash only. Inn at the Pier offers Sea Doo, Kayak, and Paddle Boards rentals as well as Parasailing! They also offer an outdoor pool if you feel like a break from the ocean. The Anne of Green Gables House is located in Prince Edward Island National Park which includes several museums and sites available to tour and learn more about Anne and Montgomery. There are several options for deep sea fishing in Stanley Bridge. With Graham's Deep Sea Fishing, you can go out with Captain Marvin Graham on board their 45-ft. boat. They supply the gear and clean the fish. Beside Sandspit Amusement Park, this mini golf course offers a fun time putting! The main attraction is COWS Ice Cream, but there are a number of other little shops here for a fun time and a good scoop. It's also right near the Cavendish national seashore beach. The big city! This is closest to the airport, and has the most amenities. It has several hotels, and many great restaurants and bars. Only downside would be distance from the venue, but might be a good option for folks who are flying in, or who are only staying for a night or two. A nice hotel right in downtown Charlottetown. Walking distance to plenty of restaurants and bars. A very new Marriott hotel right on the water in downtown Charlottetown. Cozy little restaurant in Charlottetown. A hip restaurant (we didn't know PEI could be hip) in Charlottetown. Tasty bar and restaurant in Charlottetown. 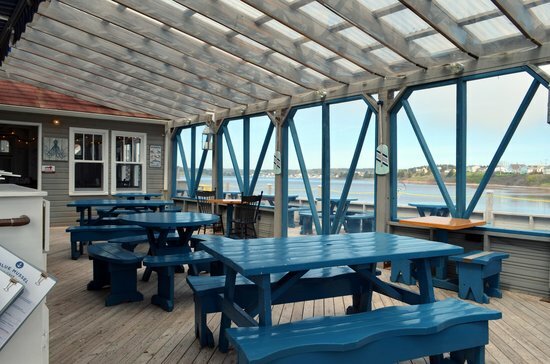 Lobster on the Wharf is a restaurant that evolved from a lobster pound on the edge of the Charlottetown harbour. It's the largest seafood restaurant and market in Charlottetown. Confederation Centre of the Arts includes art gallery and theater in the center of Charlottetown. Check out the box office for tickets to one of the many shows. Go sailing on Charlottetown Harbour aboard the 36' ship! Old Home Week Fair occurs each year in August (2017 dates to come). Festivities are hosted on the grounds of the Eastlink Centre & Red Shores Racetrack & Casino Eastlink Centre. A larger town (they would probably call it a city on the island) with more nearby amenities than you will find closer to the venue. 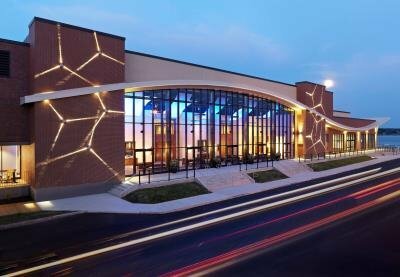 A good compromise for those looking for a hotel, but also wanting to stay closer to the venue. A larger town (they would probably call it a city on the island) on the south coast. There are a few hotel options here, but you might also consider Charlottetown if you're thinking of staying in a hotel (there's a bit more to do there).